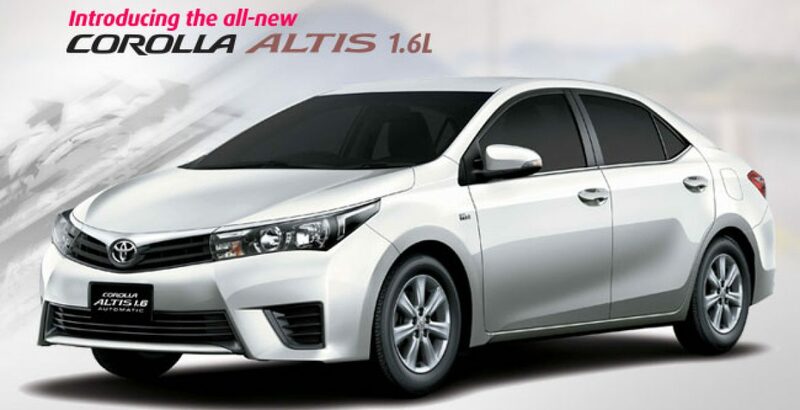 The new model of Altis 1.6 has been revealed and it clearly abounds in unprecedented class and style. It has a beautiful aerodynamic exterior with latest additions and has an even more sophisticated interior assured with quality. You will see an innovative technological advancement for the first time in Pakistan. Corolla is known to be the most favorite and the most selling car in Pakistan. But this time, it’s better than ever! Corolla Altis 2017 has come with an innovation that will turn even the not-so-diehard fans of Corolla to fall completely head over heels in love with it. Coming with a New Dual VVT-IZR Engine, the vehicle provides a 12% better fuel efficiency. Let’s explore further to find out more about this gorgeous beast! Engine: TheDual VVT-I ZR engine comes with a fuel capacity of 55L which gives an efficient and smooth performance. Braking System: The front brakes are ventilated discs while the rear ones are solid discs. These braking systems come with enhanced ABS and EBD. Electronic Brake Distribution (EBD) ensures an equal and balanced braking force that is distributed finely amongst all wheels for effective braking mechanism. It is also equipped with the technology of BA that further helps reducing the stopping distance and generates higher braking phenomenon. Seating capacity: 5 Persons, 2 persons at the front and 3 at the back. The exterior combines sophistication and sportiness with uber finesse. Corolla Altis comes with classy and sleek head lamps, dynamic grill and automatically retractable side mirrors. It is loaded with Anti Jam Auto Stop Power Windows. To add to the sporty look it carries 195/65 R15 alloy rims with CTR ornaments and awesome side skirts. The crystal tail lights add a dash of elegance to this beauty. The rear garnish is very chic and has sleek rear reflectors. It also comes with rain sensors which is an additional feature. It comes in seven colors, such as black, white and hues of blue/grey and maroon. The door handles are body colored. The stylish change to its interior is the new backlit option with eco meter. Another new addition to the chic interior is the grey upper interior with wood grain finish. The interior is partially leather which gives it a classy feel and an elegant look. The windows are powered and so are the mirrors. 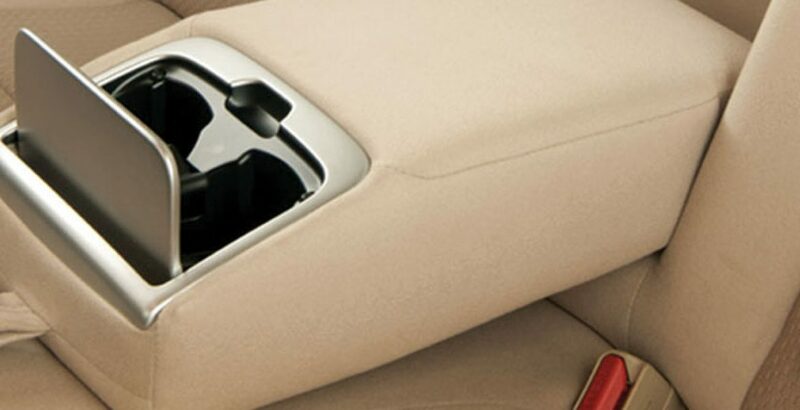 The rear arm rest comes with cup holders for added convenience of the passengers. They have paid special attention to safety and it comes with SRS airbag for the front seat. There is also an in-built DVD player with a Bluetooth and navigation system. Overall the interior is more spacious with little cosmetic changes. 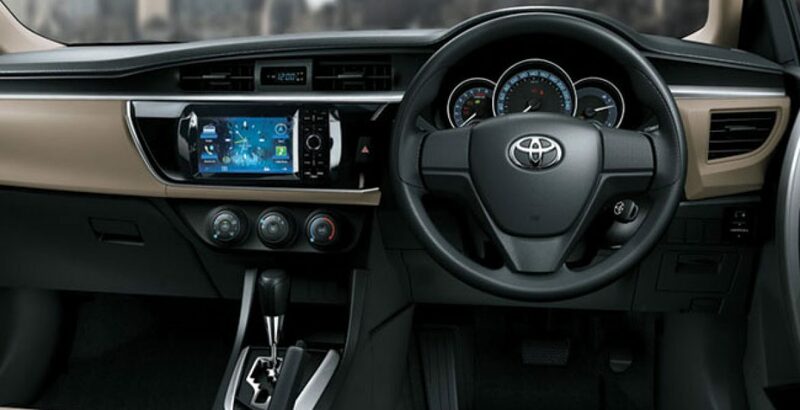 The new Corolla Altis is one of the most awaited and desirable cars. Now that it is in the market the most frequently asked question is about the price of Corolla Altis. It varies according to the specifications and features. The price of Corolla Altis 1.6 in Pakistan on average is two million. Corolla Altis is known to be a very fuel efficient car and gives good value for money. In Pakistan a lot of people swear by Corolla’s reliability. 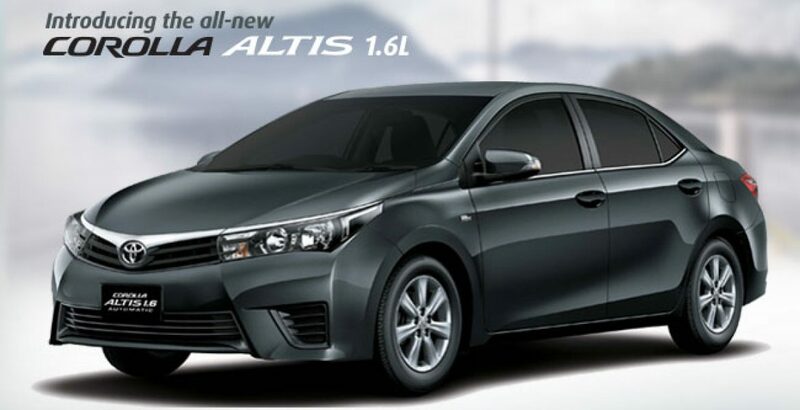 Altis being in its 11th generation now, stands on the core standards of the brand Corolla. It is a good option to consider but certainly not the only one. 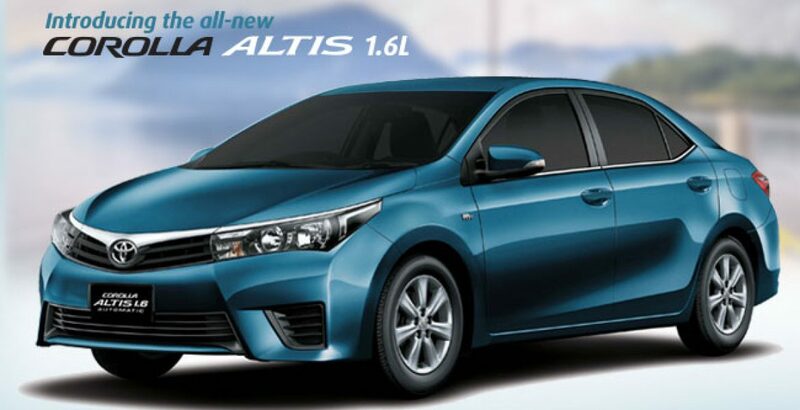 The main advantage of Altis 1.6 is the fuel efficiency as compared to other cars of the Sedan family. If you are a corolla fan or a diehard, this car will surely please you.